Senior Shayla Conner has been on a volleyball court cheering for a team or playing since she was in diapers. 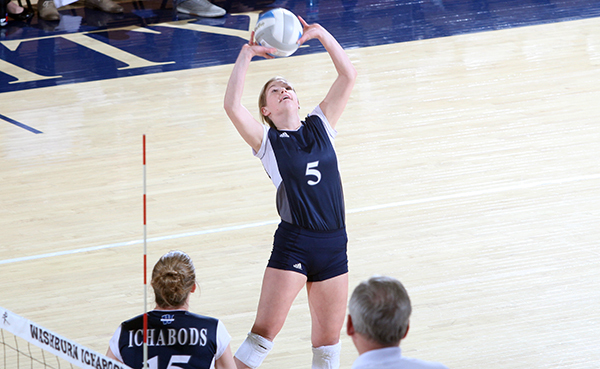 Inspired by her mom, a coach for 22 years at Kearney Catholic High School in Kearney, Nebraska, Conner has been playing volleyball since she was a third-grader, and the senior mass media major now finds herself in her final competitive year at Washburn, a year that started with a record-breaking 22-game win streak. Conner is as confident as she’s ever been in what she wants to do in life once her playing career is over. She wants to coach volleyball, but hopes to make a career in public relations working on creative media and crisis communications for organizations. Conner is a setter, which is a position that controls the flow of the game. Ideally, the setter touches the ball each time it comes over the net. The pressure to make good decisions and send the ball to the right hitter can be stressful. As a freshman, Conner said she didn’t handle pressure on the court well, and every time she played, she became nervous. Over time, that pressure bred confidence, and it has made her realize she can handle anything. The lessons on the court have also translated into another lesson she is thankful to have learned – it’s important to work hard and earn scholarships. As a student-athlete, she has limited time to work a job or internship to earn money, so scholarships are key to keeping costs low. Conner receives both academic and athletic scholarships that have paid for her education at Washburn. She relays the lessons she has learned to her family. Now, she’s the one teaching her eighth-grade sister the importance of scholarships, choosing a good school where scholarships are available and how to earn them. 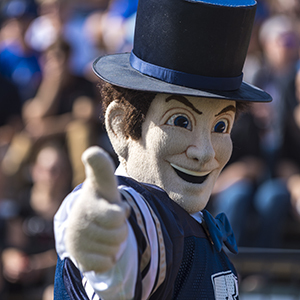 You can provide a bright future for an Ichabod student-athlete by supporting the Ichabod Athletic Fund with a gift online. You can also contact Bruce Steinbrock by email or at 785.670.1334 to learn about other funding opportunities like creating an endowed scholarship or estate gift that will change student-athletes' lives for generations to come.